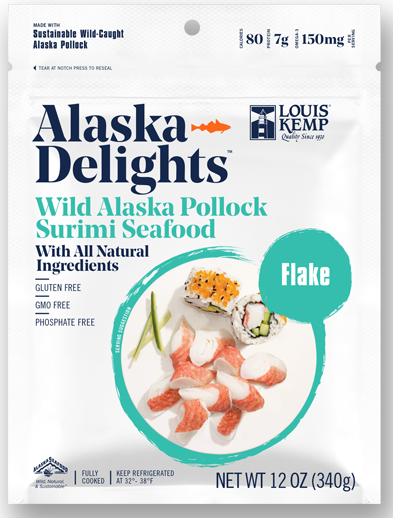 New to the Louis Kemp lineup, this premium surimi seafood is made from only 10 all natural ingredients including Wild Alaska Pollock, potato starch, sugar and sea salt. 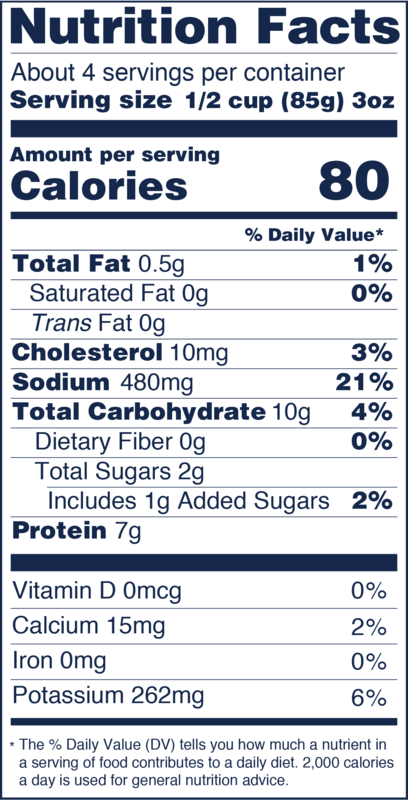 This product is Non-GMO, Gluten and Phosphate free so you know you are getting the highest quality ingredients from the number one name in surimi seafood. INGREDIENTS: Alaska Pollock, water, potato starch, sugar, sea salt, natural flavor (Alaska Pollock), canola oil, paprika oleoresin, lycopene (color), citric acid.